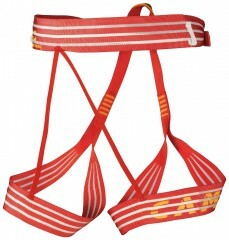 If you're looking for a minimalist harness for via ferratta or to safely rappel during ski tours, look no further. The Alp Racing harness by CAMP weight just 92 grams (3.2 ounces) and packs down to the size of a small fist. Don't look for lots of gear loops and thick padding that would be comfortable climbing in all day, but this harness will get you through a race course or down a cliff without a hitch. Innovative webbing construction keeps the weight down and the security up. Tested and certified to UIAA and CE norms. Pre-threaded buckle on the waist so you can easily get it on and off while having it tight when you need it. Reinforced single tie in point to attach your biners, rope, or personal anchors. One minimalist carabiner loop on each side of the harness. Round up if you're close on sizing, these fit tightly. Even tighter than the old Alp 95. 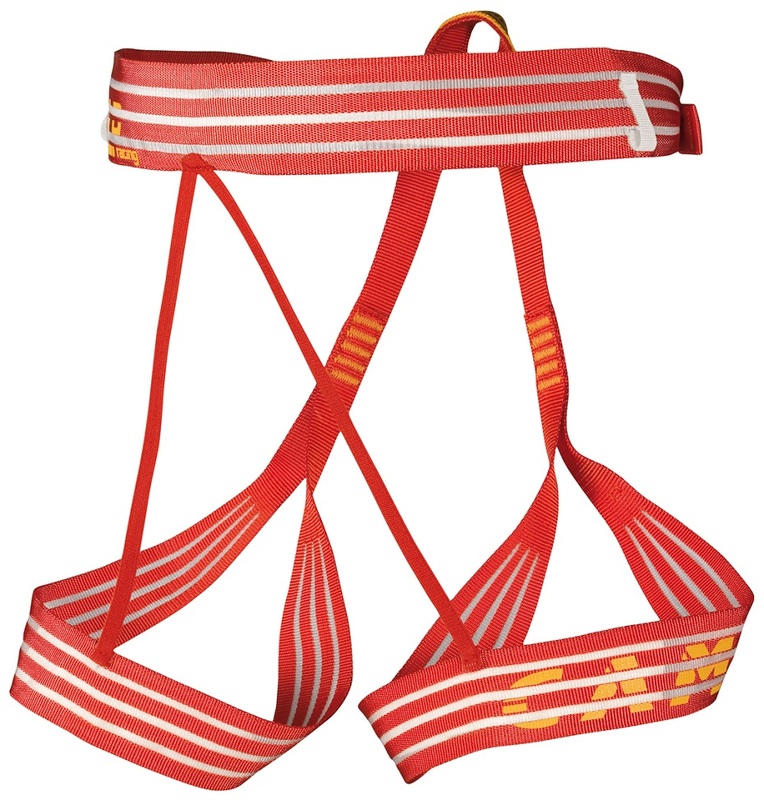 Overall: Despite some inconveniences and fit limitations, the CAMP Alp harness definitely rates Five Stars for its intended purposes. 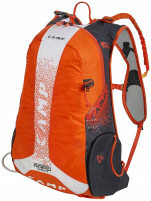 Background on product familiarity: I have been using the predecessor Alp 95 harness (http://www.camp-usa.com/products/harnesses/alp-95.asp) since it became available in March 2009 (and before that its two predecessor models in turn). I’ve used it for some race towing, but mainly for glacier travel and (practice!) crevasse rescue. 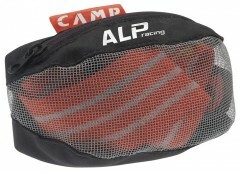 The new 2013 Alp Racing sold here has the same design but with some materials improvements (and at an imperceptible weight reduction too). First, the first impressions out of the box: Is this for real? Were it not for the strict safety specs and standards that govern climbing gear, I would think this was some sort of joke, but it is indeed a real harness. However, the absence of buckles on the leg loops means that you either have to put on the harness before you put on your ski boots or very carefully step into it (and have a relatively slim and short ski boot relative to your harness size – a 279mm 26 mondo Alien 1.0 fits through a size Medium Alp harness, but with little margin). And the absence of any adjustments on the leg loops means that your thigh circumference has to match up with the corresponding waist size range. Second impressions, in use: You have to remove your rack from the harness before getting into it, since otherwise it will become a twisted confusing mess. 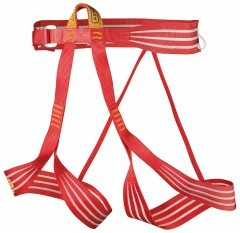 Even then, the relatively flexible webbing can take a few confusing moments to get all straight and fitting properly. 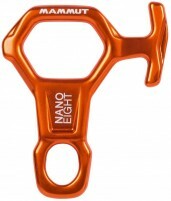 The two carabiner loops are very minimal, but they are adequate for a typical crevasse rescue rack if you first hang a biner off each loop, then hang the rest of your rack off those two biners. I actually have hung in the harness for several minutes (after an IFMGA guide set me up for a practical illustration of the drawback from my insistence on backing up a rappel with a prusik), and I was perfectly comfortable. I have never fallen in it, and obviously a lead fall while climbing might be much harsher in the Alp than in a typical rock climbing harness. But for a typical snowbridge collapse fall, which is often onto a snow ledge inside the crevasse (rather than dangling entirely freely in space), I expect that it will be reasonably comfortable (and also the least of your concerns given the circumstances). Third impressions, for long-term durability: All climbing gear is so overengineered from a ski mountaineering perspective that you’ll probably retire your harness for general longevity guidelines reasons rather than noticeable wear and tear. For my harness, despite a decent amount of use over five seasons, it’s still pretty much indistinguishable from new.